Meet your DC power needs by adding 48 and +24 VDC power rectifiers power system solutions that can be further enhanced with the addition of intelligent controllers, remote system monitors, management units and a full range of distribution modules. You can expand your network with used Emerson equipment, refurbished Lorain equipment, and options to sell or buy used Marconi equipment. The Lorain name is still well-known in power circles. The brand has a legacy of quality options specifically for loop and 48 VCD wireless systems. Vortex builds on that legacy with a variety of units that we refurbish and supply. You can browse our selection using the icons below. You can find every component and replacement part as well as the rectifiers themselves. Support the specific configuration of your network with the right components. We’ve got you covered, especially if you’re replacing an existing set of Emerson DC power rectifiers. 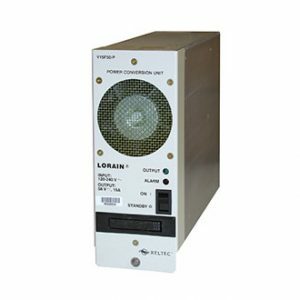 Lorain DC power systems from Worldwide Supply are still popular around the globe for central offices, switch sites and data centers. They can reduce your overhead busses and related costs, making it easier to afford and even expand your plant. Lorain, Marconi, Emerson and related DC power solutions from Worldwide Supply also offer modular designs. Build out what you need and keep things running smoothly with on-site maintenance. Plus, used Lorain DC power systems can reduce the floor space you need by up to 40% compared to traditional DC power plant architecture. Used Lorain equipment delivers customer-driven focus, so your network can become more robust with a single installation. Worldwide Supply will also purchase your excess Lorain products for immediate cash. Lorain also serves as the power product line for Marconi Power, so your used Marconi equipment may contain one or both names. When you care about quality and reliability, refurbished Marconi equipment delivers. Don’t let a name stand in your way — start your journey to savings with used Lorain Marconi Emerson equipment today. Worldwide Supply is always looking for a wide variety of networking hardware and telecom networking equipment, including Lorain, Marconi and Emerson brands. We will help you receive the maximum value for your surplus gear when you sell Marconi equipment and other telecom hardware. Get upfront cash at highly competitive rates, and let Worldwide Supply handle all of your networking equipment removal concerns. Some of our best-selling used Lorain Marconi Emerson equipment includes the Vortex, LPS, and LXP lines. Contact us today to learn about available DC power equipment, and get an estimate for your equipment needs.